Outsource your Bunker Buying Management and concentrate on what you know best - the running of your vessels. Prime’s Bunkersplus Services L.P. is an independent bunker-buying management service provider that executes intelligent bunker buying solutions. An innovative and active player in the Marine Fuel Industry, specializing in the Greek shipping market, since 2002, bridging them direct to physical suppliers. Prime’s Bunkersplus also provides alternatives from the various major world-wide Traders. This is the most transparent and cost effective means of buying one’s bunkers. Our Bunker Buying Management Services provide all-inclusive fuel & lubes tailor made purchasing systems. As qualified bunker brokers we perform & deliver on all the tasks so that our clients - the buyers - are freed up, running ships. We establish supplier credit lines with vetted vendors, negotiate prices and terms, nominate bunker orders. Available for follow-up 24/7, with the aim, to make the right choices. Crude level monitoring second by the second, port, barge, & product availability reports, claims management (prevention & handling), Invoice & BDR chasing, Friendly payment reminders – we do it all for you! Prior to Jan 1st, 2020, sourcing the new VLSFO 0.50% max sulphur product will be preceded by sourcing ample credit lines. Our expert purchasing team works round the clock to save you money. A human “bunker buying tool” for many shipping & chartering companies who appreciate the added value of experience to their buying strategy. Operating from Greece, our purchasing team, which consists of trading, supply, and broker experienced agents, operate as brokers only and focus on quality client service, credit lines, accurate market information and sustained supplier relations. Always aiming to provide the lowest market prices without compromising quality & reliability. 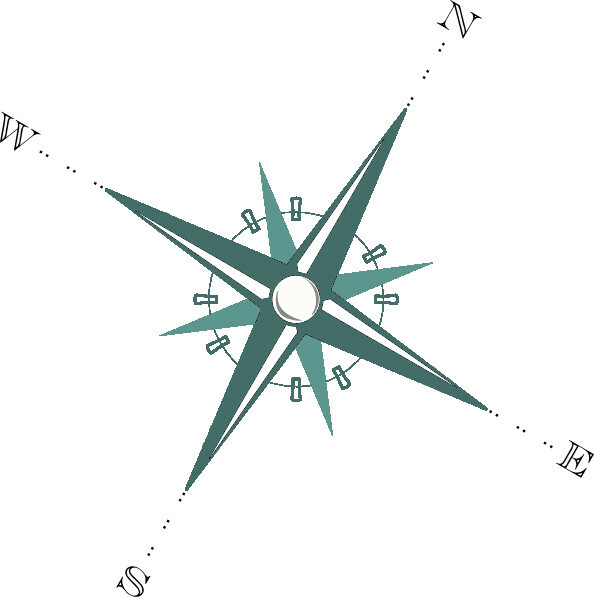 Our reputation for transparency, care, ethos and high-quality broker services is acknowledged by vendors operating in ports all over the globe. They know that, like them, we’ve set the bar very high. And a happy client is a happy vendor. Bunker management is a science. Seize the opportunities of the volatile crude markets, ride the waves. Plan your Bunker buying policy and strategy with unbiased independent brokers now. New set of challenges regarding the quality of the new 0.50% fuel product and the increased prices of the 0.1% MGO are coming up in Q3 & Q4. Bunker buyers already face formidable tasks with the many factors in the bunker industry, such as fuel price volatility, time validities, hefty cancellation charges, fuel quality issues, choosing the right counter parties, and GTCs. They need assistance from expert bunker brokers to contend with the transitions come 2020. Join our family of clients and leverage the volume for lower prices. Decrease your operating costs using our full shop services. This year, commemorates 17 years of successful brokering between the bunker & shipping industries. Since 2002, we’ve been providing Greece’s top-tier shipping companies with high-end broker services, for their bunker & lubricant purchases and, above all, peace of mind. Don't ask us, ask them: ADK, Angelicoussis Group, Alpha Bulkers, Chartworld, CMM, Common Progress, Conbulk, Dalnave, Gaslog, Grace Trading Corp LLC, Leon, Lotus Shipping, Meadway, Navios, Pantheon Tankers, Phoenix Shipping, Seaworld, Seaven, Starbulk, TMS, Tsakos Shipping and others. Prime’s Bunkersplus is a long-standing member of the International Bunker Industry Association (IBIA), voicing Greek Shipowners concerns. Bunker Broker’s maintain a balance between buyers and sellers, with the goal to safeguard both parties interests. We do this with CARE and it shows through our Commitment to Accuracy, Reliability and Excellence. Irene graduated from Pace University, NYC, with a BBA in International Management & minors in Marketing & Political Science. She later studied psychology and was in the Human Relations Master’s Program at Brooklyn College. Her work experiences at Bear Stearns, IBM, Nichiman America, and smaller NY businesses, including shipping offices in NYC and in Piraeus, namely, Ceres Hellenic, and a start-up business of her own in Brooklyn, have all shaped her business and entrepreneurial skills. 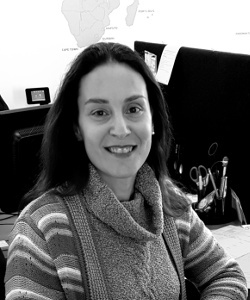 Managing a 24/7 bunker broker firm competing in the international arena for almost 2 decades, Irene is a proven business person who has mastered connecting people and ideas, significantly. She brings value to Prime’s client base with her untainted clarity of vision and diligent market coverage. 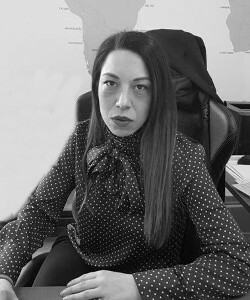 Her availability, grasp of both the shipping and bunker industry know-how and her business ethics have attracted numerous first-class Greek based ship-owning firms. Thanassis is in the Shipping industry for a long time. First in the crew department of Lemos Maritime and then as a Radio Officer in the Merchant Marine. He worked at Greece’s major Physical Supplier, MAMIDOIL JETOIL, as a Sales Executive and a bunker supply Operator for over 2 decades. He also was the Supply manager at Greek bunker physical Supplier, PHOENIX OLIEHANDEL, thereafter. 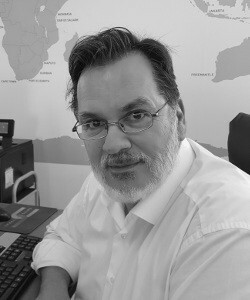 He has 30 years of knowledge and experience in the bunkering industry mainly in purchasing – supplying procedures, handling claims and solving disputes. He is a Graduate of C.I.M. (Chartered Institute of Marketing, UK) focused in sales management. Knowing the bunker supply business very well, his role at Prime’s Bunkersplus is very relevant as he represents the suppliers point of view in the bunker management equation. Teri started her career in shipping almost fifteen years ago. After a while in chartering and operations, she picked up bunkering and stayed there ever since. She has worked as an in-house bunker buyer and in well-known trading houses like Amoil and Integr8 Fuels. She holds a degree in Maritime Economics and Science from the University of Piraeus Dept. of Maritime Studies and is fluent in four languages (Greek-English-French-Spanish). Her career path to date, along with her skills, has gained her a full-spectrum insight of the maritime sector. She has the ability to easily communicate among cultures and forge relationships on an international level. For this reason, she is here to guarantee the best option for any vessel, on any charter, in any port. Chryssa’s specialty in the Shipping Industry has been concentrated in the Shipping Finance sector both on the Banking side and Ship owners' side, since November 2000. She joined Prime in November 2015 to re-assess and re-define Prime’s finance role for its clientele base who was lacking supplier credit lines. She holds a BSc in Economic Sciences from the University of Athens and a MSc in International Shipping from Plymouth University, U.K.
She holds the Diploma in IFRS and she is certified by ATHEX from the Derivatives Market Training Unit and by the Institute of Chartered Shipbrokers (Professional Qualification) . Her know-how and innate business ethics contribute and support Prime's mission to satisfy clients’ needs while maintain a balance with its vendors. 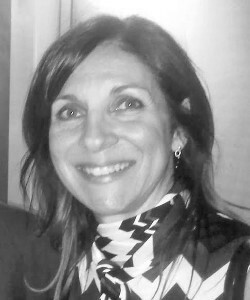 Sophia earned her Bachelor degree in Maritime Studies from the University of Piraeus and has worked in the shipping and bunker brokering/trading businesses for 20 years. Her experience trading marine fuels and lubricants in one of the largest international lubricants physical supplier corporations, and understanding of clients’ needs, equip her to handle after sales, with care and to the fullest. Prime’s Bunkersplus Services is a spin-off of Prime Petroleum Services, Inc. (PPS) which operates in the Bunker Brokering sector by bridging top-tier shipping companies with vetted physical suppliers and re-sellers of marine fuels and lubricants. 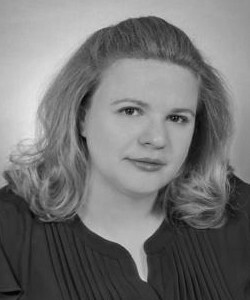 Founded in 2002, by Irene K. Notias, PPS quickly developed an enviable reputation for professionalism and, within a decade, tripled its client base, became a BP Marine authorized Broker and turned bunker buying into a science. To be a specialized and independent Bunker Broker company in Greece, and to provide added-value, tailor-made solutions with transparency and ethos, to all the stakeholders. To offer highest-quality services, and to remain agile in our industry’s ever-changing environment, in order to meet the clients’ needs. We can’t control the tides & currents. However, we have control over the way we perceive and interpret issues, as well as the decisions we make to address them. Therefore, remaining mindful of the needs and supporting high quality standards - going that extra mile - allows us to meet our clients' satisfaction. We believe in teamwork. A few people working together seamlessly can move mountains, let alone deliver fuel products. Creating synergies is what we excel at. This helps us to create a stable environment which promotes sound decision-making-something our clients find very comforting, given the ever-changing, fast-paced world we all live and work in. Individual commitment to a common goal is what fuels a team, a company, a society, a civilization. ALGOA BAY n.a. s.i. n.a s.i. Above prices are indicative of the market at time they were documented. They do not reflect firm prices. Price ranges are basis 30 days payments. Movements in prices are basis the respective port’s product & barge availability besides crude levels. Since no one is a fortune teller there are no indicative prices for future delivery dates. All prices above are in US$ per mtd unless otherwise specified. (mtw) = additional transportation charges. Check all information on Bunker Requisition Form or equivalent which is presented by the Supplier, via the barge. If there are any changes regarding quantity or quality, immediately communicate with the appropriate contact person (ie: broker or trader) in order to verify the details. Witness and confirm the initial measurements and ullaging onboard the barge before and the measurement after the delivery takes place. Check and measure all the tanks, including actual temperature of cargo, and any idle tanks (said not to be included in the particular supply). Compare measurements and verify the quantities as per barge ullages tables. When in full agreement, sign the ullage/sounding report for Before Supply figures. If any disagreements with the measurements, temperature and thereby figures please advise this on the Sounding form or, if not allowed, on separate Letter of Protest (make sure to obtain signature and stamp from barge Master for receipt). If surveyor attends, ensure the surveyor also participates in the measuring procedures before supply and verifies the figures. Watchman to witness safe and proper operation and correct sampling. The watchman ensures continuous drip sampling throughout the delivery and that devices used for sampling are clean. Watchman to witness proper and correct division into minimum 4 (four) clean and new identical sample bottles, including proper labeling and sealing of ALL samples. Make sure original sample (cubitainer) is shaken vigorously for 3 minutes before splitting into the 4 sample bottles and that bottles are filled in several passes. All seal numbers to be inserted into the Bunker Delivery Receipt (BDR). The MARPOL sample must be one of these samples drawn under witnessing. Watchman to pay special attention to the bunker hose, and any not agreed attempts to transfer air via same should cause immediate stoppage unless the use of air is caused by stripping of barge tanks, which stripping to be agreed in advance by both parties. If air is blown on continued basis, and stoppage on the supply not possible, for any reason, the incident to be reported in a Letter of Protest (LOP), which should also contain the time (hours from/to) that air blow was noticed. During tank measurements, notify the seller, supplier or broker of any signs of air on the measuring tape used for ullaging. Search for any signs of bubbles or similar on the surface of the fuel when it is still onboard the barge. Agree with the barge ops when and if they are going to make stripping of the tanks. Check and note the draft fore, mid and aft on the barge before and after supply to compare. If any signs at all of cappuccino or similar (except eventual stripping, agreed in advance), please stop the supply immediately and compare supply quantities made so far. Immediately contact office vessel operator in charge and request notification to the Seller or Supplier. If surveyor attending, surveyor signs the Letter of Protest, also. Stop the bunker delivery and wait minimum 1 hour for bubbles to disappear and re-measure the barge jointly with barge Master. Repeat the measurement, sounding and ullaging of the barge, including verification of temperature of each tank. Verify contents of ALL tanks, including the idle ones. Ullage Report must be signed by all parties involved, including the surveyor. Any disagreements regarding figures (mm, temperature) requires a Letter of Protest to be issued, and any specific disagreements to be stated on the Ullage report regarding completion of delivery. Receiving Vessel to immediately inform differences in writing, on the spot, by Letter of Protest (LOP) attached to the BDN or BDR (Bunker Delivery Receipt) and copy to the Seller or Broker via e-mail. 2015 © All Rights Reserved. 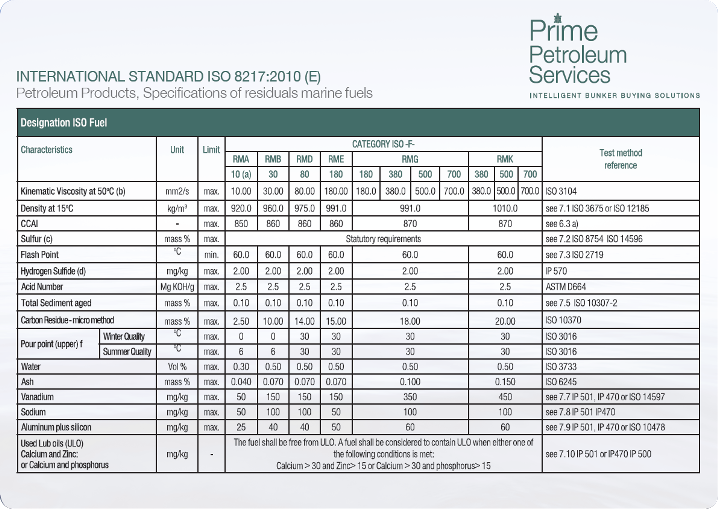 Prime Petroleum Services Inc.